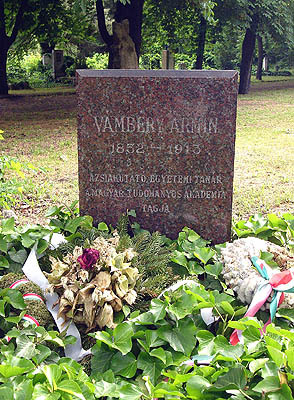 Ármin Vámbéry was born in Szentgyörgy in Upper Hungary (today Svätý Jur in Slovakia), in a Jewish family of Southern German origins. 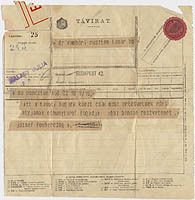 Since at the time the issuance of birth certificate was not required for the Jewish population, the exact date of his birth went into oblivion. He himself later put it on 19 March 1832. The name of the family was actually Bamberger, referring to their Bavarian origins, which was used in the version Wamberger by his father. Ármin Vámbéry used this name, as well as his German first name (Hermann) converted into a Hungarian form. 1 His father, a scholar of the Jewish traditions and of the Talmud, fell victim to the first major cholera epidemic in Hungary in 1831-1832, so that he could not live to see the birth of his son. The willpower and diligence of the widow mother could only temporarily ease the family’s great poverty, and when she remarried, they founded a new home in Dunaszerdahely. 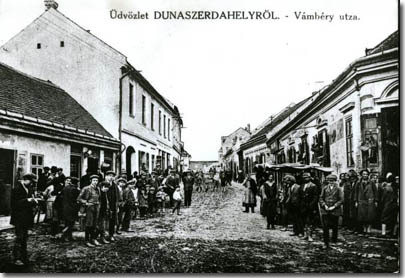 Vámbéry considered this city as his official place of birth. Since his childhood he lived in privation, and his sufferings were increased by the fact that at the age of three he became lame of his right leg. 2 The little Ármin was an outstanding student since his first school years, already in the Jewish school of Dunaszerdahely (now Dunajská Streda, Slovakia) and then in the Protestant elementary scohol, where he made his first steps on the way of detachment from the Jewish Orthodox environment and traditions. He worked a private tutor throughout his youth, since the age of ten, when his mother, to alleviate the bread-and-buter worries of the five-children family, sent him as an apprentice to a tailor, to whose son he taught Hebrew. Later he was a tutor in Csallóköznyék (now Nekyje na Ostrove, Slovakia) at the local inkeeper. He attended for two school years the high school in Szentgyörgy, where he studied with excellent results, while undertaking occasional jobs and often suffering from hunger and from the meager circumstances. Around the age of 14 he definitely broke with the Orthodox Jewish religiosity, and this disillusionment made him sceptical with the dogmatic confessions in general. He attended the third to fifth grade in the Benedictine high school in Pozsony (Bratislava), while earning his bread as a private tutor. The revolutionary events of 1848 found him in Pozsony, and had a deep impact on him, instilling in him a patriotism and an anti-Russian feeling persisting throughout his life, which he led back to the sight of the Tsarist troops marching in the city in 1849. 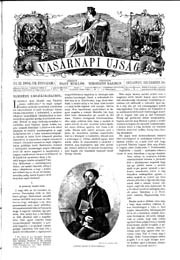 In 1851 he went to Pest, where he worked for a couple of years primarily as a private tutor, in the midst of the daily problems of self-support and privation. At the time he already had a command of seven languages: at the age of eight he could read and write in German, Hungarian and Hebrew, and later he learned Latin, Slovak, French and Italian. He usually received his commissions through an intermediary, a certain Mr. Mayer, whose headquarters was in the Orczy House in Pest, which also functioned as a “teachers’ market”. 4 He had temporary works in several parts of the country. In the Slavonian Kutyevó (now Kutjevo, Croatia), where he almost lived in prosperity after his previous vicissitudes, he also learned Croatian. Then he continued the series of his Slavic languages by starting to learn Russian. He said the “first and last love” of his life also flamed up in Kutyevó: the 19-year old boy fed gentle and unrequited feelings toward his student Emília, the sixteen-year old daughter of his host. Vámbéry himself attributed to this that after one and half year of service he was dismissed on the initiative of the worrying mother. He paid a short visit to his family in Dunaszerdahely, then his increasing confidence, nourished by his talent in languages, drove him to search for a job in Vienna. However, due to the absence of necessary recommendations and lack of experience in official life, he was disappointed in the imperial city. Yet, his Vienna excursion enriched him an important experience, which was decisive for the rest of his career: he had an occasion to make acquaintance with Baron Joseph von Hammer-Purgstall (1774-1856), the renowned researcher of Turkish history and literature, who encouraged Vámbéry to deepen his Turkish studies. Returning to Pest, he rented a bed in Dob Street, and continued to support himself as a private tutor, mainly with English and French lessons. In this period of much privation he intensively continued his linguistic studies. 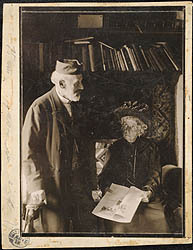 As he wrote in his memoirs: “in this period of my teacher’s life I devoted ten or twelve hours daily with full zeal to my linguistic studies”. 5 He became a regular reader of the University Library. Via one of the library’s officers, a former university professor of Hungarian language and literature, János Garay (1812-1853) he became acquainted with the renowned national poet Mihály Vörösmarty (1800-1855) and later Count József Teleki (1790-1855), the founder of the Academy Library. His one-year commission in Kecskemét, where he worked at the Schweiger family, proved decisive in his Oriental studies. There he began to intensively study Turkish and Arabic, and it was a great help to him that he could borrow Arabic manuals from Mór Ballagi (1815-1891), the professor of the local Protestant high school. 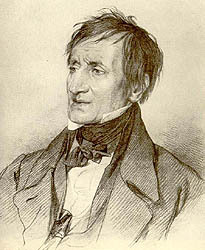 Ballagi called on him also the attention of the renowned author Count Zsigmond Kemény (1814-1875). He continued learning Eastern languages during the teacher’s positions held in the estates of Csévpuszta near Monor and Pótharaszt. He practised the Arabic language mainly by reading the Quran, and he got acquainted with the excerpts of Persian literature from Vuller’s anthology. The last stop of his teacher’s career was Csetény in Veszprém county. The realization of his long cherished dream, the Oriental journey appeared close in 1856, mainly due to the support of Baron József Eötvös (1813-1871). 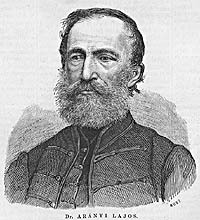 Eötvös, who received Vámbéry on the recommendation of János Garay and Zsigmond Kemény, recommended the talented youngster to Pál Hunfalvy (1810-1891), the chief librarian of the Academy, and he to the president of the Academy, József Teleki. In March 1857 he set out to his first Oriental journey, with Istanbul as its aim. In the capital of the Ottoman Empire he soon became acquainted with several members of the Hungarian emigration of 1848, including Dániel Szilágyi (1830-1885), who run an antiquarian bookshop in the Galata district. After his death, the valuable Turkish, and to a lesser extent Arabic and Persian manuscripts went over to the Hungarian Academy, due to the intervention of Ármin Vámbéry. 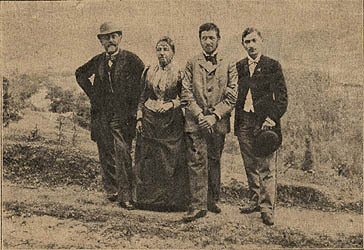 Through the patronage of his fellow countrymen, and not least to his own exceptional interprersonal skills, as well as to his services as a language teacher, Vámbéry became well acquainted with influential governmental circles, and he could now develop his theoretical knowledge of language in the practice. During his four-year stay in Istanbul, he not only had an excellent knowledge of the peculiarities of spoken Ottoman Turkish, but also gained in-depth experience of the habits, social conventions and behavior patterns of the Muslim-Turkish world. At the house of Husein Daim Pasha he received the name Reshid, which he proudly used in the Muslim world from then on. His commitment to the research of the origin of the Hungarians and of the Hungarian language solidified during his stay in Istanbul. In 1861 he was elected a corresponding member of the Hungarian Academy. Returning to Pest, he began preparations for his major enterprise, the second Eastern – Central Asian – journey, to which he had the support of the president of the Academy, Emil Dessewffy, and the majority of the learned society. In his farewell speach of 29 July 1861 he informed the Academy on his objectives. As he said, “we are looking for linguistic truth, instead of the ancient homeland of the Hungarians”. Vámbéry was the last European traveler to visit before the Russian invasion, in 1862-1863, the khanates of Central Asia, and to return home safely from his trip leading through Khiva, Bokhara and Samarkand. His survival was mainly due to his convincingly acting the role of the Sunni literate and dervish, which assumed not only an exceptional linguistic and cultural preparedness, but also an incredible self-control and adaptive skills. This is how he managed to avert the dangers posed by this environment, jealous of its independence in the pression of the Russian and British spheres of interest, and hostile to all European and non-Muslim strangers. 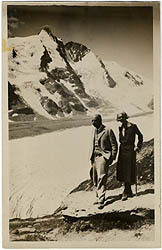 The experiences gained during his travels were a capital to him which defined his further career, in linguistic, ethnographic, and even geographic terms. His observations also attracted the interest of the great powers interested in the region, Russia and Great Britain. Vámbéry, returning home in 1864, remembered with bitter disappointment his reception in Hungary, which he attributed to the political atmosphere preceding the Austro-Hungarian Compromise in 1867. 6 Vámbéry, a self-made man, who, emerging from extraordinary difficulties by his power of will and ambitions, and was forced to develop his talent through self-education, by bypassing the traditional educational system, and even so providing exceptional performances, found in Great Britain the coveted honor, which in Hungary was unachievable to him. After a month’s stay in Pest, he went to London, where he was received with the appreciation and respect due to the discoverer. In 1864 he published in London his English-language travel book Travels in Central Asia. He felt at home in the keen interest surrounding him. He held a series of lectures, including in the Royal Geographical Society, and was presented to Prime Minister Lord Palmerston. Although in the following years he returned several times to Great Britain, and his books and articles were published in many countries of the continent, nevertheless it never occurred to him to turn his back to Hungary. His oeuvre evolving from the mid-1860s was extremely diverse. The original objective and legacy of his Oriental journey was primarily linked to the research of Hungarian origins, and in this field he made his most important achievements in linguistics – more specifically, in Turkish philology – and ethnography, but he was also known as the author of historical works. He was considered not only a philologist, but also as a traveler and a strategic analyst. Due to the different focus on the various aspects of his oeuvre, he enjoys a different evaluation and appreciation in Hungary and in Europe, especially in England. At home he is still regarded as a researcher of the Hungarian origins, while in England as a political writer. 7 His latter activity is attached to a further important thread of his career, which got stronger since the 1880s. Due to his exceptionally far-reaching relations, and his confidential relationship with British governmen circles and Sultan Abdülhamid II (1876-1909), he also benefited from his experiences as an intermediary and advisor of foreign politics. 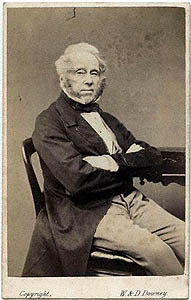 In accordance with his conviction formed in his youth, he turned his knowledge to the benefit of the British Empire, which he considered as the depositary of progress and civilization, and to the prevention of the expansionist ambitions of Tsarist Russia, which he rejected because of his impressions of 1849, when the army of this latter seriously contributed to the oppression of the Hungarian war of independence. On the other hand, he was bitterly aware, that in the Austro-Hungarian Monarchy he was completely ignored as an expert of foreign policy. Vámbéry’s relations to the subject of his research can be recognized from the political opinions and world view exposed in his works. His statements clearly contradict his enthusiasm for the East and Islam, and present him as a committed supporter of Western civilization, a real “imperialist” (A Nyugot kultúrája Keleten [The culture of the West in the East]). Ármin Vámbéry was one of the stimulators of the debates on the origin of the Hungarians, which, due to their precedents, constituted a series of scientific clashes imbued with politics, and are known in the history of science as the “Ugro-Turkic war”. 9 The series of theoretical battles between the scholars asserting the Finno-Ugric origin of the Hungarians on the one hand, and the Turkish one on the other, was opened by Vámbéry’s 1882 study “A magyarok eredete. Ethnologiai tanulmány” [The origin of the Hungarians. Ethnological study]. 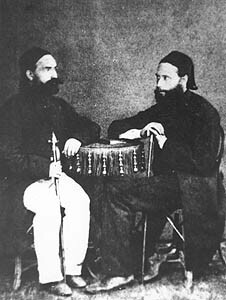 The “Ugric camp” was led by the former friend of Vámbéry, József Budenz (1836-1892), who earlier also leaned towards the Turkish kinship, as well as by Pál Hunfalvy and József Szinnyei (1830-1913). 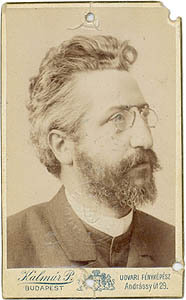 Vámbéry’s views were shared by Henrik Marczali (1856-1940) and József Thúry. 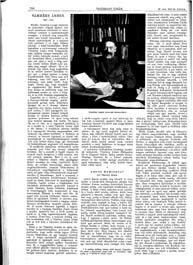 The broad social interest surrounding the scientific discourse is shown by the fact that the developments were reported on a regular basis in the daily newpapers. Vámbéry mentioned his wife only once in his memoirs, and did not dedicate to her any of his works. It seems that emotions played little role in the marriage, but more so the possibility of social progress. 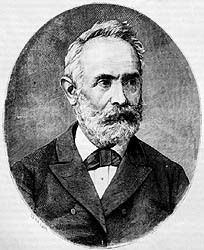 The father-in-law, 12 Dr. Lajos Arányi (born Lohsteiner) (1812-1887) was a highly respected professor of medicine, whose career has some similarities with that of Vámbéry. 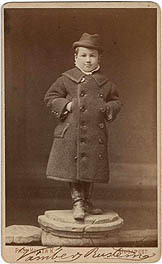 Lohsteiner, born in a Transylvanian Lutheran Saxon family, orphaned early, and was brought up by his uncle. Having graduated in the Piarist high school in Buda, his interest turned to medicine. He also developed a strong Hungarian identity, and changed his family name into a Hungarian-sounding one before 1848. In 1844 he became extraordinary professor of pathology at the University of Pest. He took part in the war of independence as a camp doctor. In 1858 he became a corresponding member of the Hungarian Academy of Sciences, and in July 1861 he was appointed ordinary teacher of pathology at the Royal University of Pest. 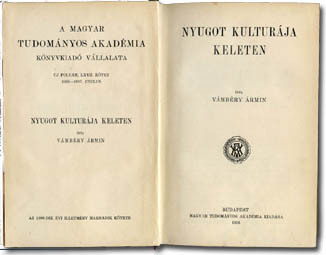 No doubt that the professor of pathology, who was also interested in Oriental languages and was a keen amateur historian and archaeologist, could be familiar with Vámbéry, either from the Academy, or from his public lectures, or even from the elite salons of Pest, where Vámbéry was a welcome and frequent guest. 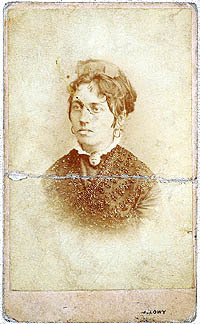 In early 1868, when Ármán Vámbéry married Kornélia Rechnitz-Arányi, social prestige, the similar world view, the common passion for the East and for Hungary, as well as the mutual appreciation (since Professor Arányi must have appreciated the kinship with the by already famous Vámbéry) probably played important role in the marriage. It seems that Kornélia rarely followed her husband to his frequent journeys, but maybe this was due to her constant illness. A proof for that may be that in his older age he regularly took her to the medicinal waters of Mühlbach in Tirol, where he used to go to on vacation. After her death in 1918, Kornélia was buried in the crypt of the Arányi family. One boy was born from their marriage. 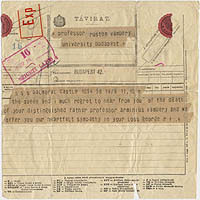 It was probably also due to the wish to escape from the very strong influence of the father that Rusztem Vámbéry (1872-1948) was taken away very far from the vocation of linguist and Orientalist dreamt for him: he became a renowned jurist, known not only as a university professor and judge of the Court of Appeal, but also as the author of several works of jurisprudence, and an outstanding personality of Hungarian criminology. He was the attorney of the poet Attila József and the Communist party leader Mátyás Rákosi. In addition, he was a committed radical politician, an active freemason, one of the strongest critic of the interwar Horthy regime, and as such, one of the most frequently observed figures in the files of the secret police, later an exile politician. In 1947 and 1948 he became Ambassador of Hungary to Washington. He ended his life there. Ármin Vámbéry remained active until the last day of his life, he wrote and worked. However, the first and last illness of his life, the hardening of his heart arteries proved fatal. After a vacation, from where he returned on 20 August 1913, his condition began to rapidly deteriorate. On 15 September he died in Budapest. He died without a will. His only request was to have a simple Protestant burial without funeral orations and songs, and not to be accompanied to his last journey from the University or the Academy. His tomb is in the Kerepesi Street cemetery.